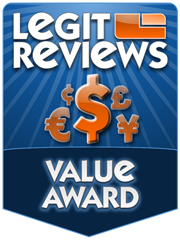 Our friends over at Legit Reviews have recently taken the GA-X58-USB3 motherboard out for a spin, and while this is a budget board clearly positioned for mainstream users on the X58 platform (1366 socket), Dan commends the board for it’s performance and overclocking, awarding it the Legit Reviews Value Award. While it may be considered a budget motherboard by many. Let's just be sure not to let the GIGABYTE GA-X58-USB3 in on that little secret, because it sure doesn't act like one. Whether it performs like it or not, the GIGABYTE GA-X58-USB3 is a low cost board aimed at the budget conscience consumer. Let's face it, that is a fact that the majority of us users out there today are faced with. Everybody is looking to get the best bang for their buck. For those looking at the Intel X58 spectrum of components, motherboards with the Intel X58 chipset aren't exactly the lowest cost component out there. Many believe that you get what you pay for, that's not always the case though. The GIGABYTE GA-X58-USB3 gives you more than what you pay for! For the measly $179.99 with free shipping you are getting a great performing board that is backed up by a three year warranty. 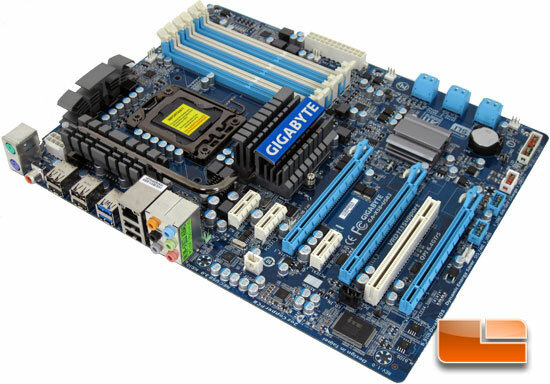 To read the full GIGABYTE GA-X58-USB3 Motherboard Review at Legit Reviews, please click HERE.